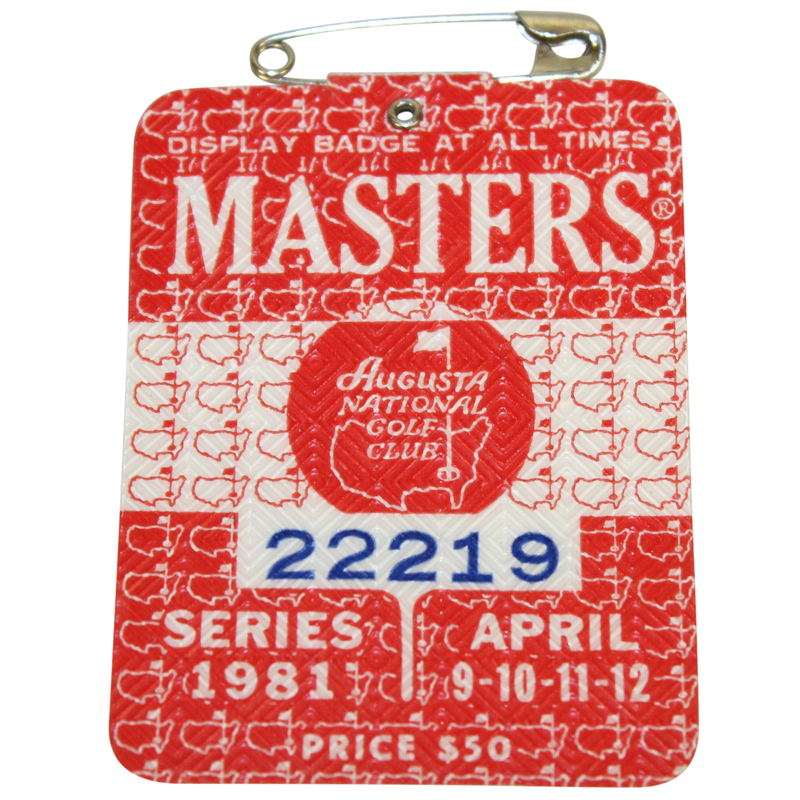 Here we have a 1981 Masters Tournament series badge #22219. 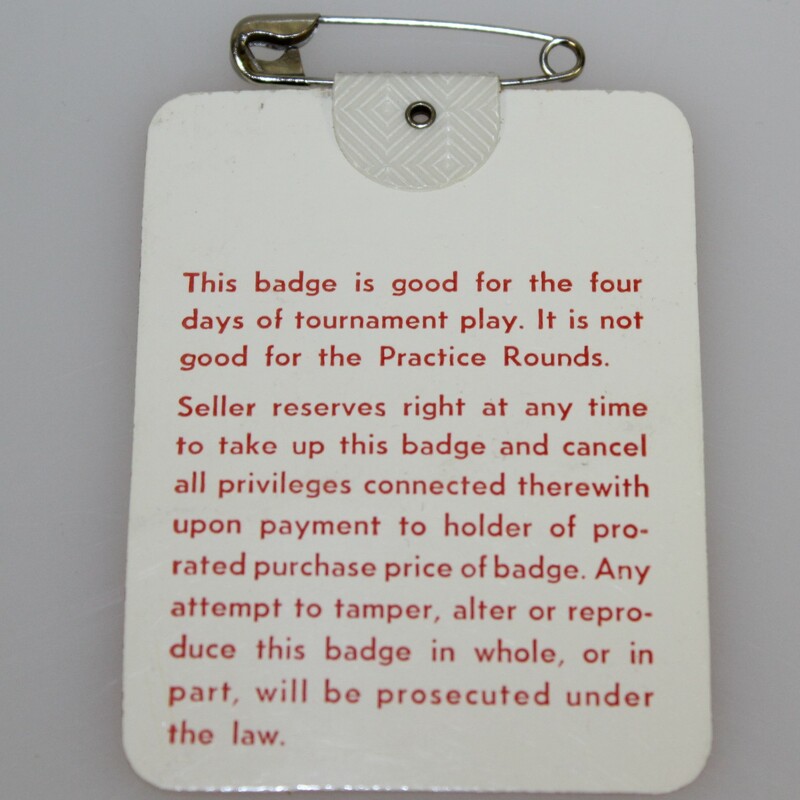 It comes in great condition with the original pin intact. 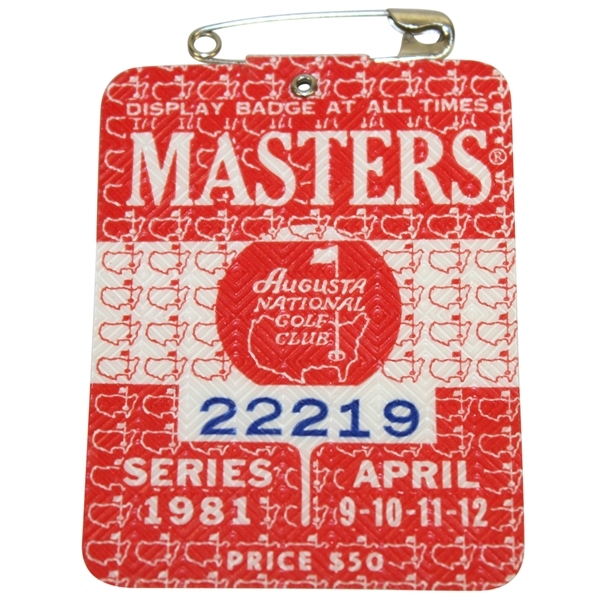 Tom Watson win his 2nd green jacket and 5th Major title at the 1981 Masters, beating out Jack Nicklaus and Johnny Miller by 2 strokes.